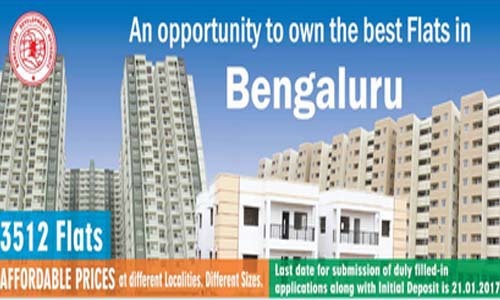 Bangalore Development Authority ( BDA ) inviting application form from the general public for its new housing scheme in 2016 for the allotment of 3512 flats in different locations of the city. All those aspirants are interested can register themselves for the flat as the registeration process will starts from the 28th November 2016. Before I do proceed with the above highlighted points just want to tell you the important dates of the scheme, so that you can apply before the closing date. Govt. is offering 1 BHK flats under EWS category all those people who have earning below Rs. 1 Lakh or below can apply for this and total number of flats under this scheme are “368” and these flats will be offered at Alur Phase -1 other detail could be understand easily via below image. The below attached image clear you everything about it. To apply for BDA housing scheme you have to visit the authorized banks from where you can get the form via paying the application fee. Now fill the form accordingly and back to bank along with registration amount which should be in the form of DD/ Banker’s cheque, or pay order favoring Commissioner, BDA, Bangalore. Below is list of branches from where you can get the form. The annual income limit of applicant’s family to apply under Economically Weaker Section (EWS) category (1BHK) only shall be Rs. 1 Lakh No income limit is applicable for other categories of flats. Applicant should be a domicile of Karnataka for not less than 5 years prior to the date of registration. However, priority will be given to those who have longer domicile. An applicant whose wife/husband or the dependent children, parents or brothers / sisters own a site or a house or have been allotted a site or a house by erstwhile CITB, the Bangalore Development Authority or a Co-operative Society registered under the Karnataka Co-operative Societies Act, 1959 (Karnataka Act 11 of 1959) or any such other authority within the Bangalore Metropolitan Area or have been allotted a site or a house in any part in the state by any other Urban Development Authority or the Karnataka Housing Board or such other Agency of the Government shall not be eligible to apply for allotment of a flat against this notification. 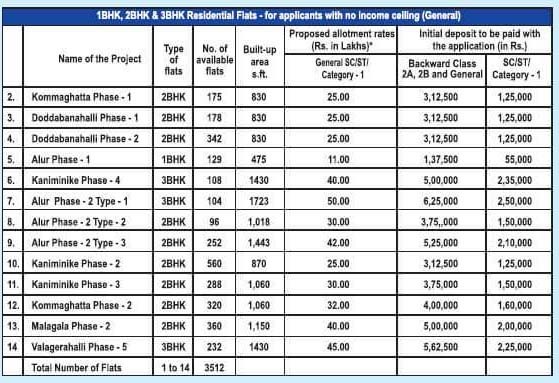 The applicant who has already been allotted a site/house at a subsidzed rate in any part of Karnataka will not be eligible for allotment of flats under this scheme. 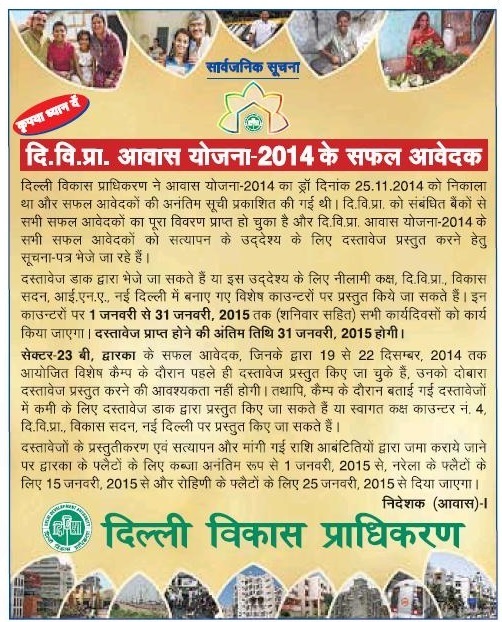 The housing units will be allotted as per the BDA allotment rules, 1984. The flat no. so allotted will be determined on lottery basis. Indiranagar; Yashwantpuram; Nagarbhavi; Kengeri; R.T Nagar. Bengaluru Cantonment; Malleshwaram; M.G. Road; N.R. Road; Bellandur; lndiranagar; Koramangala: Mahadevapura (Hoodi); H.R.B.R. Layout; R.T. Nagar; Sahakaranagar; Banashankari; Bannergatta Road; Jayanagar 3rd-Block; Vijayanagara; Peenya; Nelamangala; Kumara Park; Bommanahalli; Chamrajpet; Rajajinagar; Rajarajeshwarinagar; Avenue Road; Langford Road; Lalbagh Road; Tavarekere; Vidyaranyapura; Yelahanka; Bhattarahalli; 8th Main Hesaraghatta. H.R.B.R. Layout; Ganganagar; Ramamurthy Nagar; Whitefield; Cox-town; A.E.C.S. Layout; Seshadripuram; Vyalikaval; Yelahanka; Yeshwanthapura; Rajajinagar; M.S. Building; Chamarajpet; Hanumanthanagar; CBAB Complex; Vijayanagar; SBM Colony; Rajarajeshwari Nagar; V.V. Puram; BSK 2nd Stage; Bilekahalli; Kudlu; Basavanagudi; Jayanagar; M.G. Road; Madhavanagar. S.B. Market – Chickpet; J.C. Road; ITPL, Kundalahalli; Bannerghatta Road; New Gurappanapalya; Double Road, lndiranagar; Ulsoor. Hope you find everything here on this page for more you can visit the official website of BDA: http://www.bdabangalore.org/ or can ask from us via below comment.